Home Application Applications Features iPhones iTunes Mobile Content Review Web Applications Transfer Anything Everywhere With Wondershare MobileGo for iOS Effortlessly! 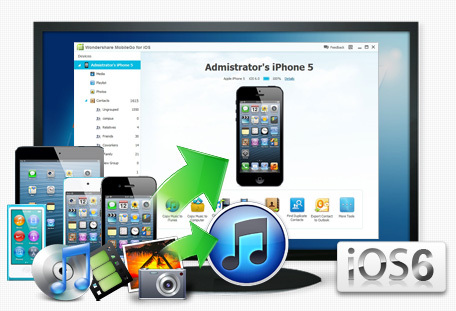 Transfer Anything Everywhere With Wondershare MobileGo for iOS Effortlessly! Have you ever wondered to have the ability to manage everything on your iPhone, iPod & iPad from one place? Here’s Wondershare MobileGo for iOS, allowing you to do even what iTunes can't! 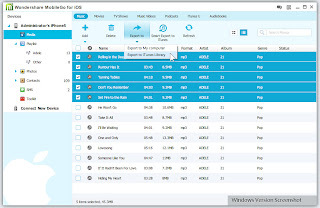 This intuitive tool lets you copy songs, videos, playlists, iTunes U, podcasts, etc. to the iTunes library easily, transfer more data, like photos, SMS and contacts, between your PC & iDevice, manage iPhone contacts in any way (import, export, remove duplicates & sync with Outlook) and load your iDevice with desired media of any format, even with those incompatible with iTunes! Once you download MobileGo for iOS from the website to your PC, (note that both Mac and Windows versions are available), you’ll have to install Wondershare Software Center and finally install the MobileGo - the process takes just a few seconds. Once done, you can connect your device via USB cable and after a few seconds of installation (depending on driver availability and device support) you’ll be displayed a dashboard with a number of convenient options! • Convert music & video: Automatically convert to iDevice-compatible formats during transfer. 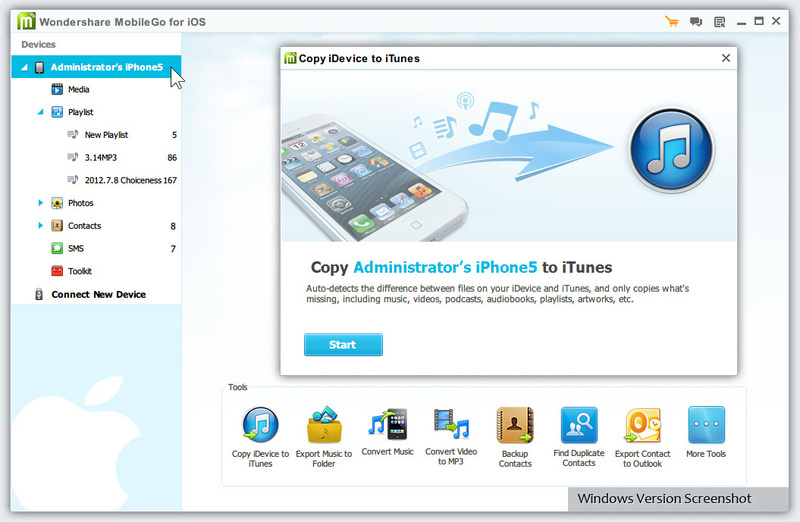 • Copy photos between Apple devices and PC: Drag photos to your iDevice or save to your PC to print & share. • Fully manage your iPhone contacts: Manage contacts: Edit, import, remove duplicates & more. 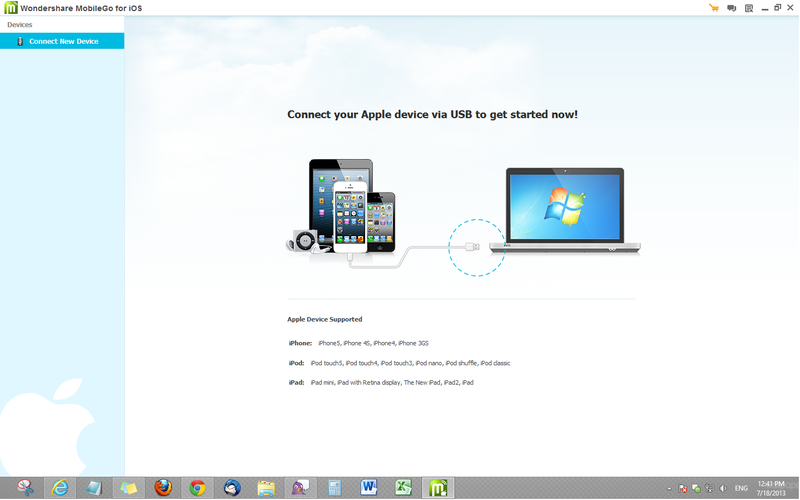 • Directly transfer between Apple devices: Transfer music, photos, contacts and more from one Apple device to another. • Create new photo albums on iPhone, iPad or iPod and add photos to your albums. • Save iPhone photos to PC or external drives so you can easily make slideshows. • Delete multiple photos from iPhone, iPad to free up space. • Import/Export contacts to/from vCard files, Outlook Express, Windows Address Book, Windows Mail and Outlook 2003/2007/2010. • Merge duplicate contacts on your iPhone with zero data loss. • Back up your contacts and messages from iPhone to PC and many more! Moreover, if you’d like to share stuff to all your iDevices, there is no need to repeatedly sync them separately with iTunes, as MobileGo for iOS allows you do it with a single click. After you connect multiple Apple devices to your PC at once, you’ll be able to transfer files directly between iPhone, iPod and iPad with a click, without using iTunes. This is super convenient! As for the performance side, the Wondershare MobileGo for iOS can fairly be attributed as a decent companion for iTunes, with some incredible options as merging duplicate contacts on your iPhone, SMS overload handling and many more. This Apple device manager tool promises effortless and professional user experience by doing a great job with multiple clicks. So considering all these features, MobileGo is absolutely necessary software for iDevice owners, who carry a significant amount of important data in their device. 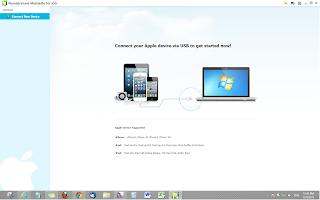 Wondershare MobileGo for iOS is compatible with iPhone, iPad and iPod touch running iOS 5 and iOS 6, iPod Nano, iPod shuffle and iPod classic, and can be grabbed directly from here. Once you’ve tried it, do not hesitate to share your thoughts in the comments below!